Do you know what SEO means? Are you confused by everyone repeating these three random words as if they were the ultimate saving grace for online sales? It’s OK. Everyone had to learn about SEO at some point and once upon a time everyone else didn’t know what those three words stood for either. 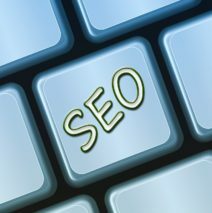 SEO is an acronym that strikes fear into the hearts of most online sellers. It stands for Search Engine Optimization and it should not be ignored if you want to be successful. This quick video gives you an overview of what SEO is and a few basic tips to improve your website SEO.